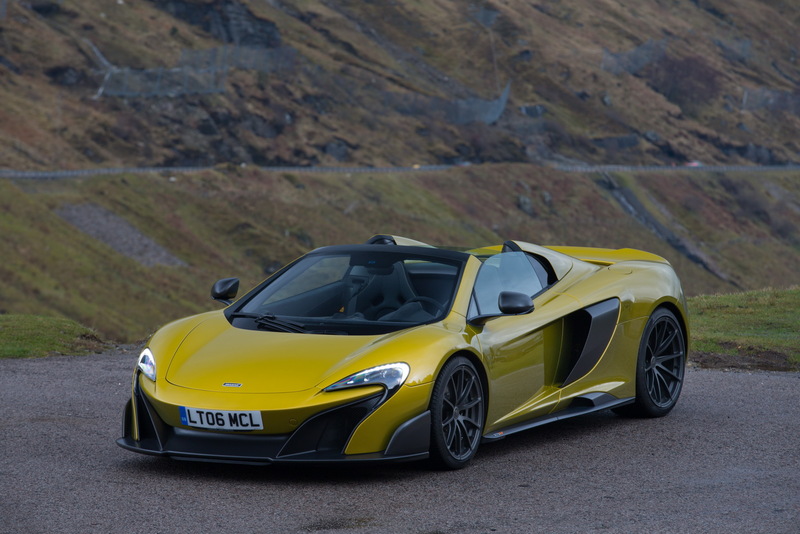 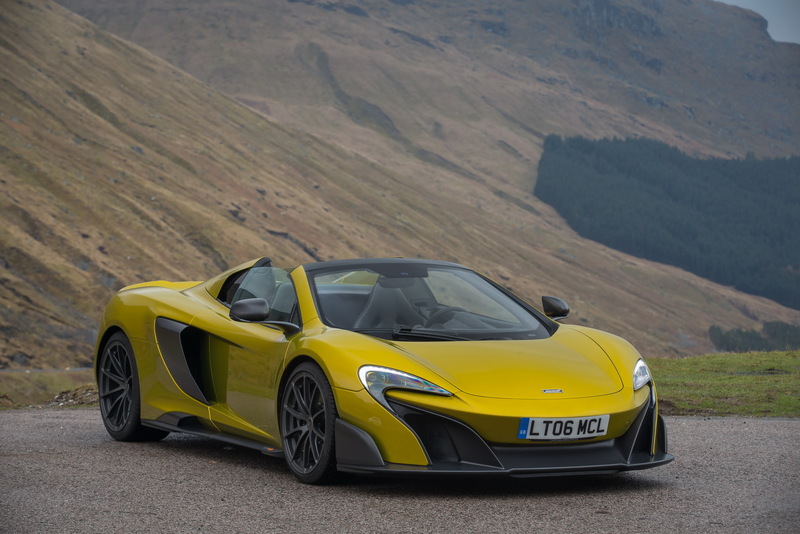 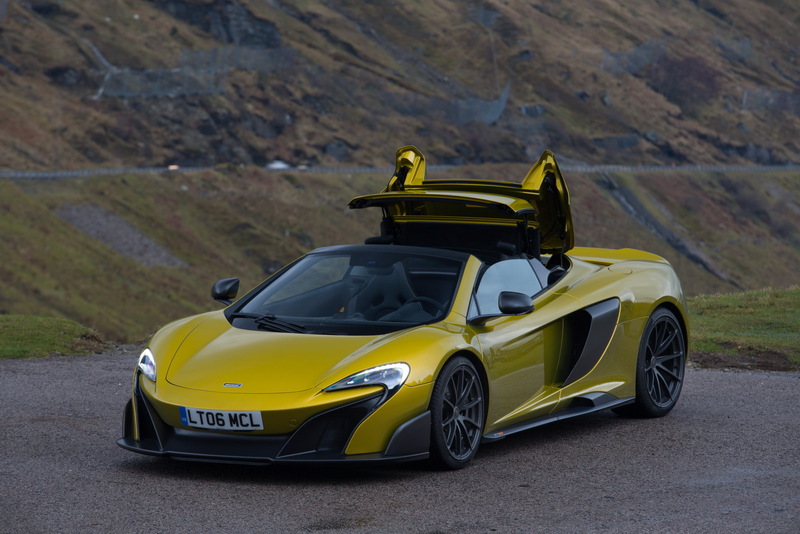 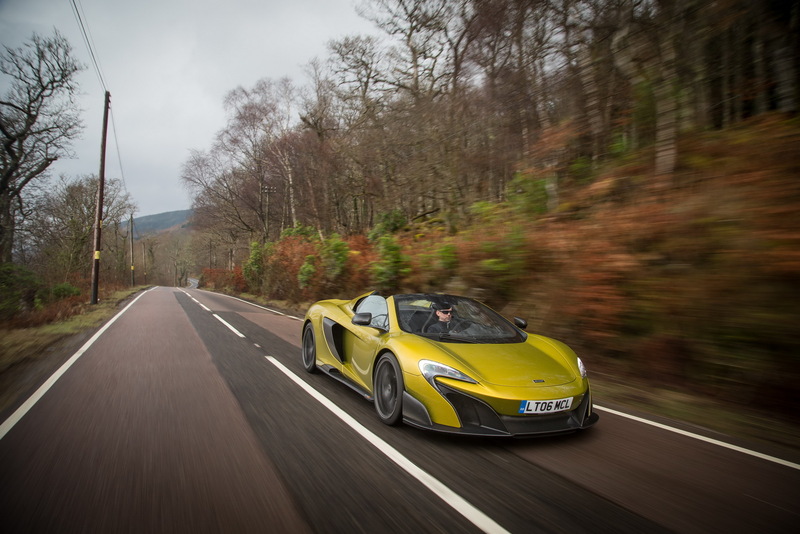 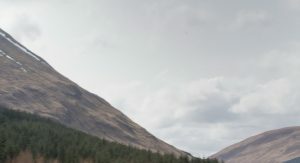 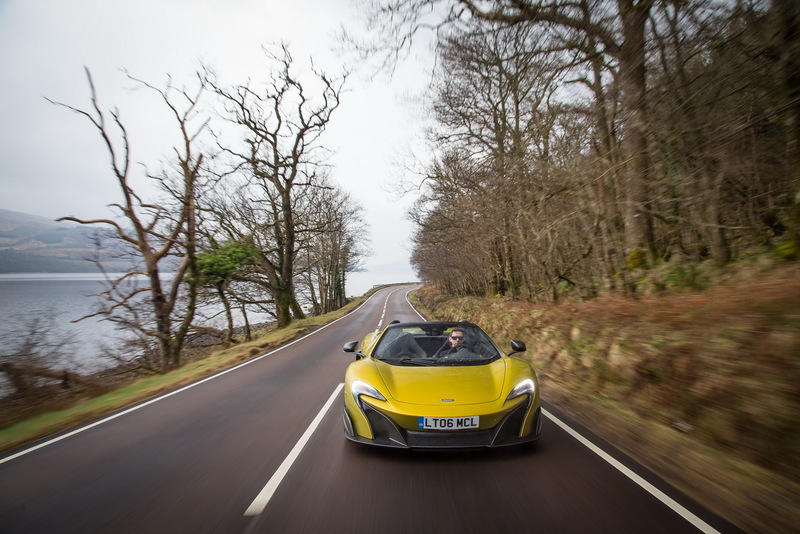 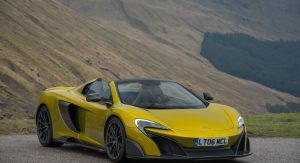 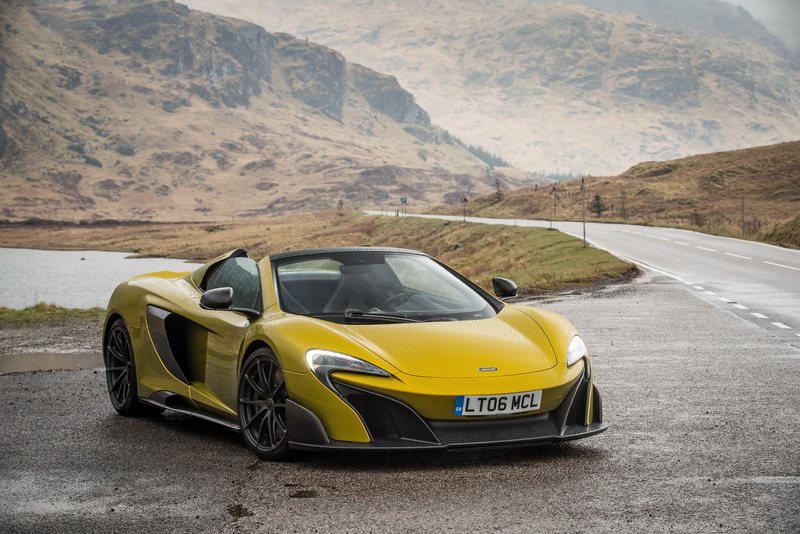 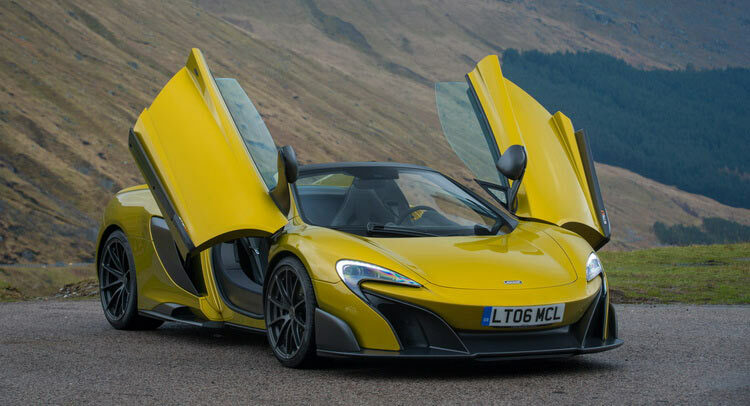 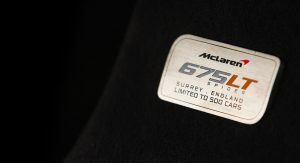 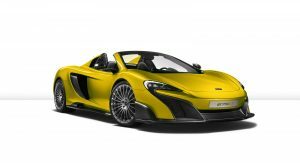 McLaren’s range-topper drop-top may have been sold out in just two weeks, but the British manufacturer is still promoting it. 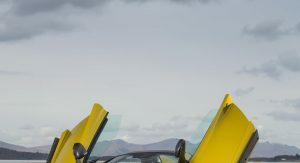 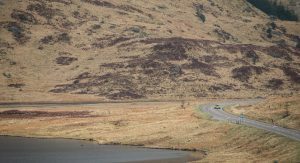 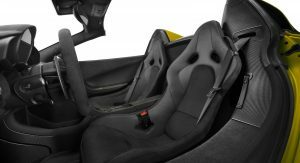 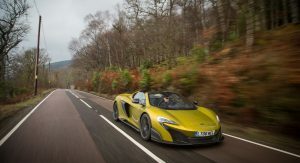 In fact, it recently dropped a generous-sized photo gallery with the supercar produced in Woking, reminding enthusiasts of its light weight, tipping the scales as 1,270 kg (2,780 lbs), 100 kg (220 lbs) less than the 650S Spider on which it is based. 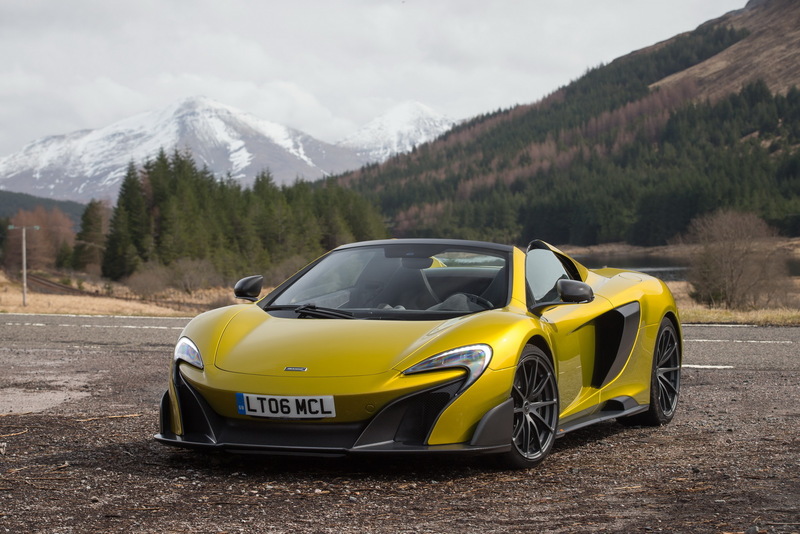 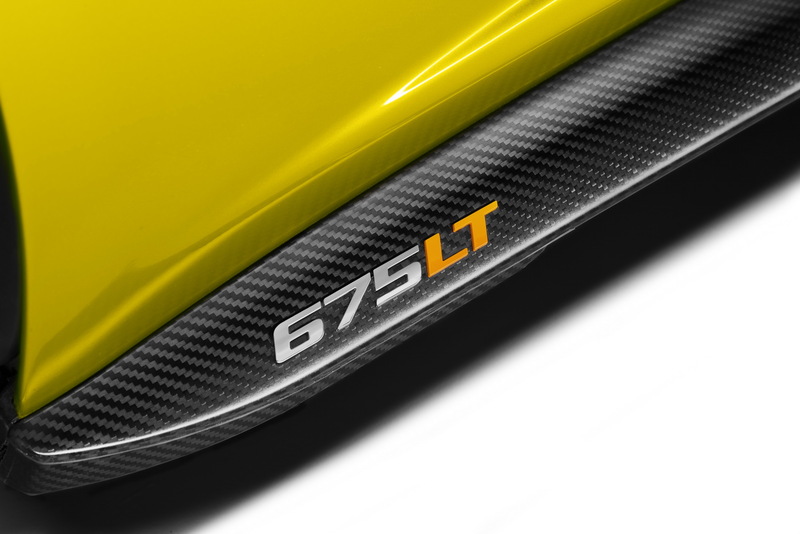 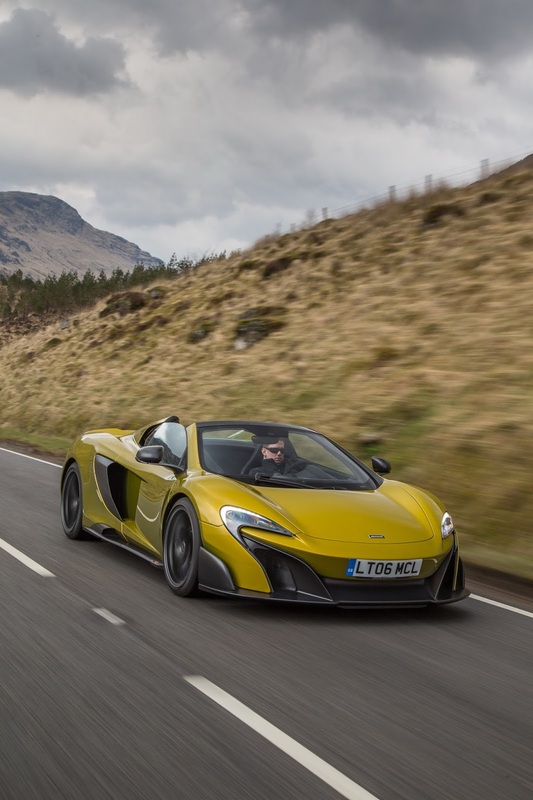 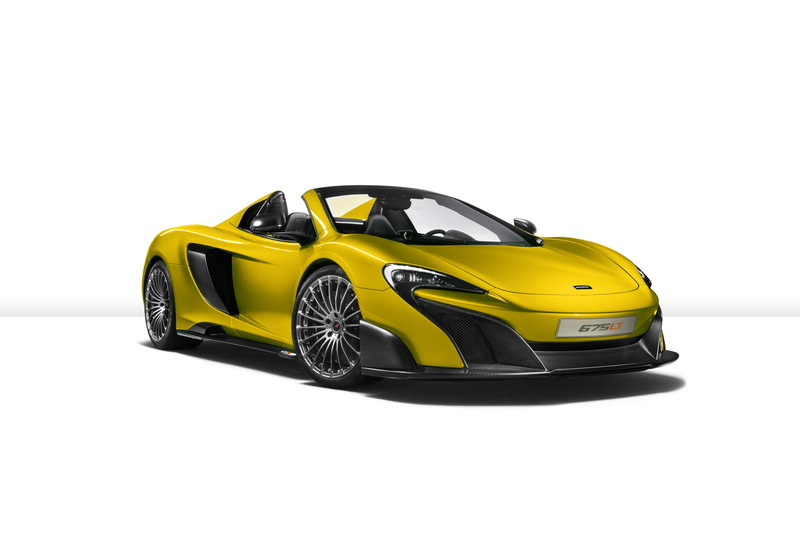 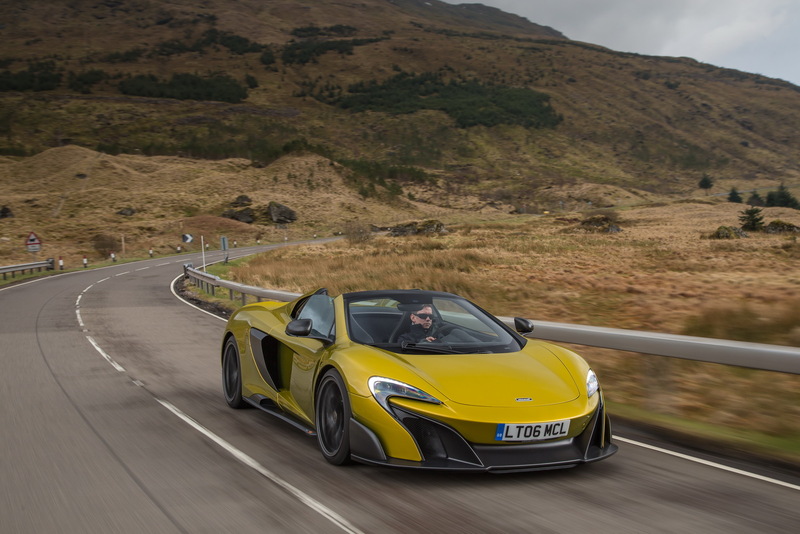 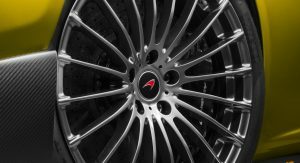 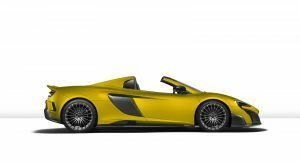 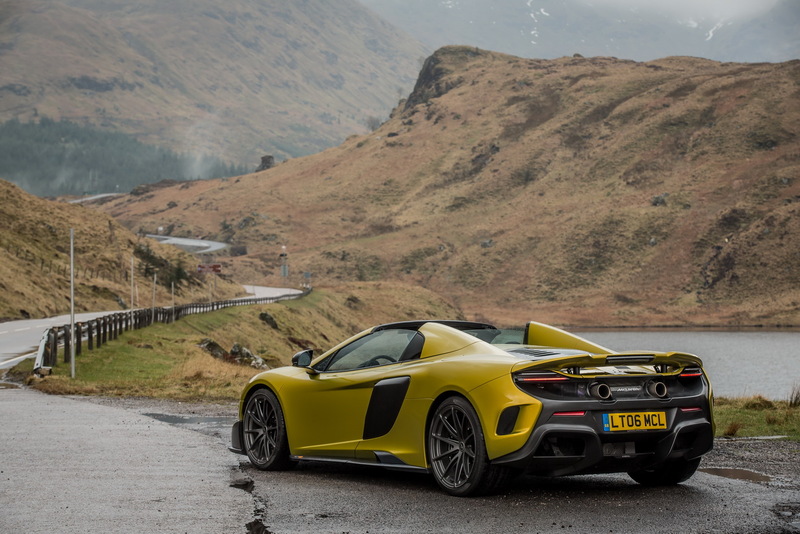 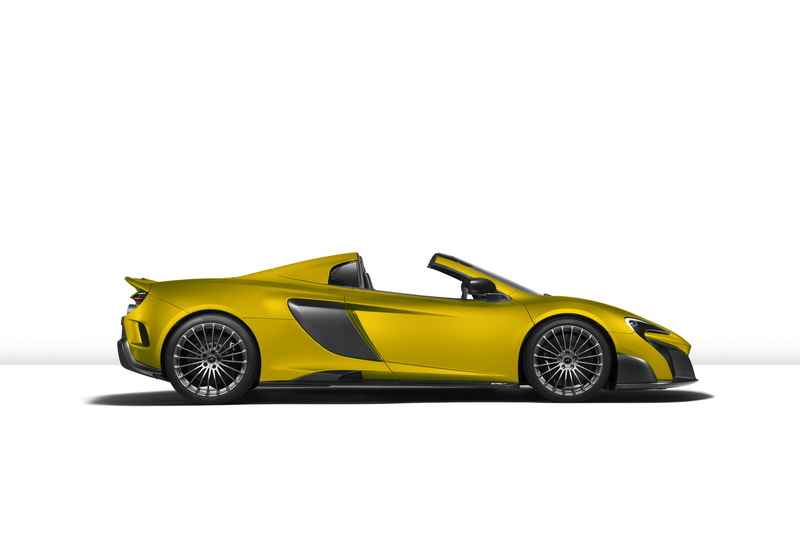 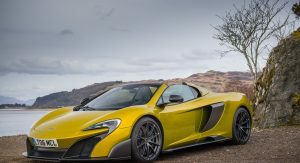 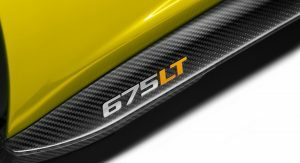 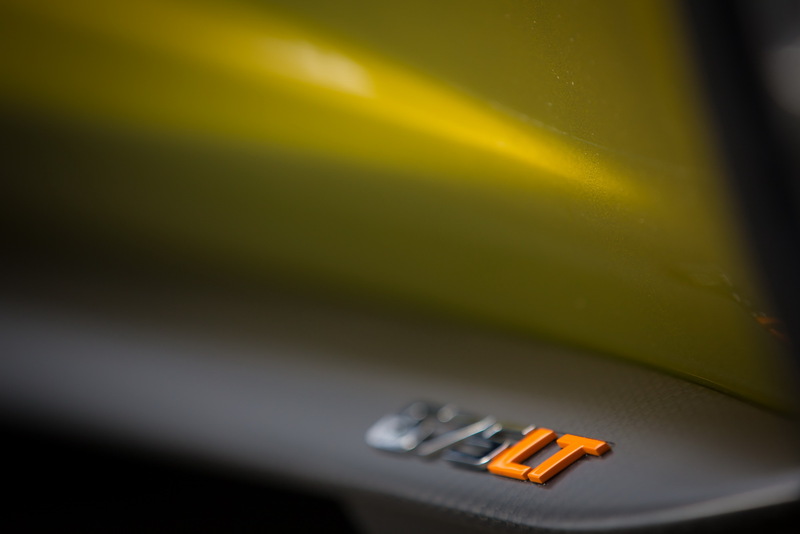 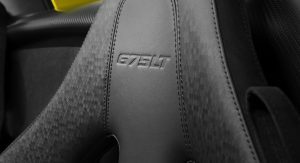 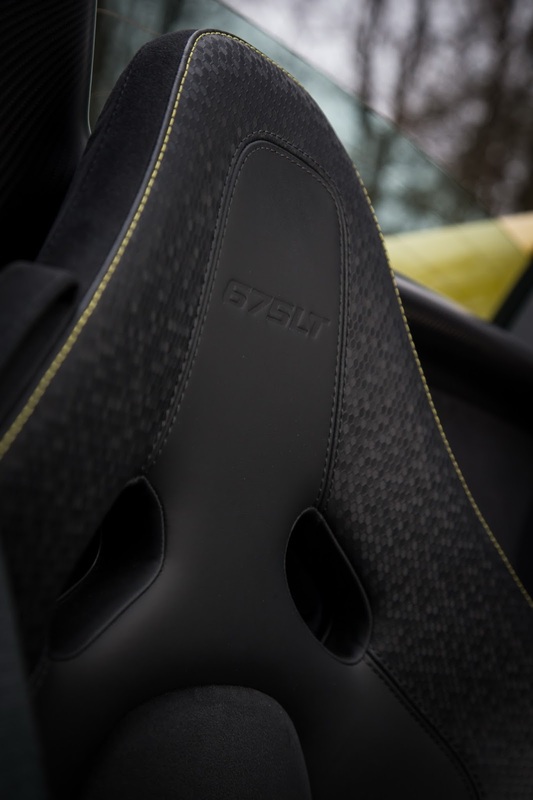 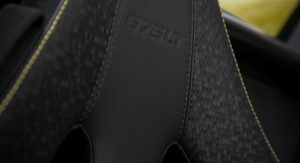 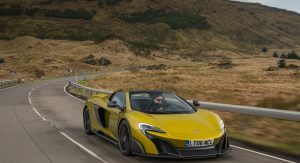 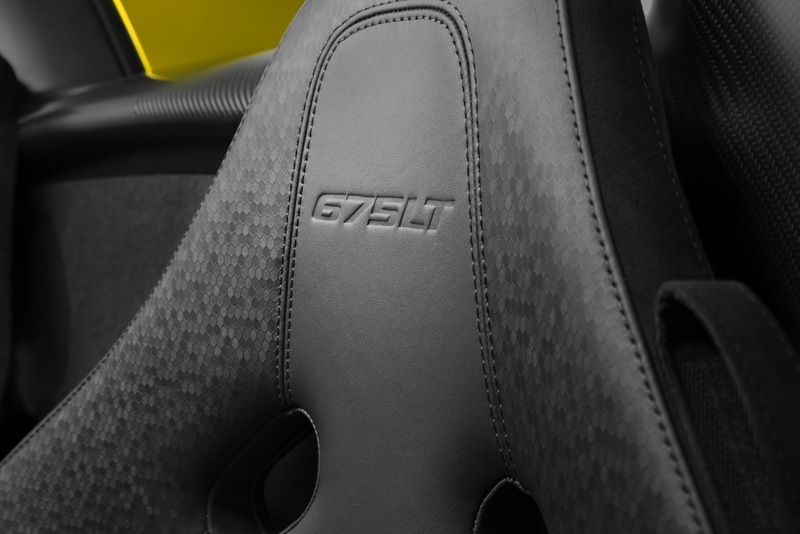 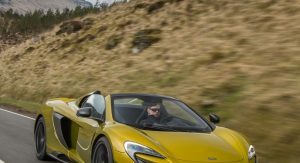 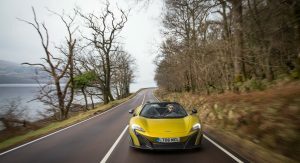 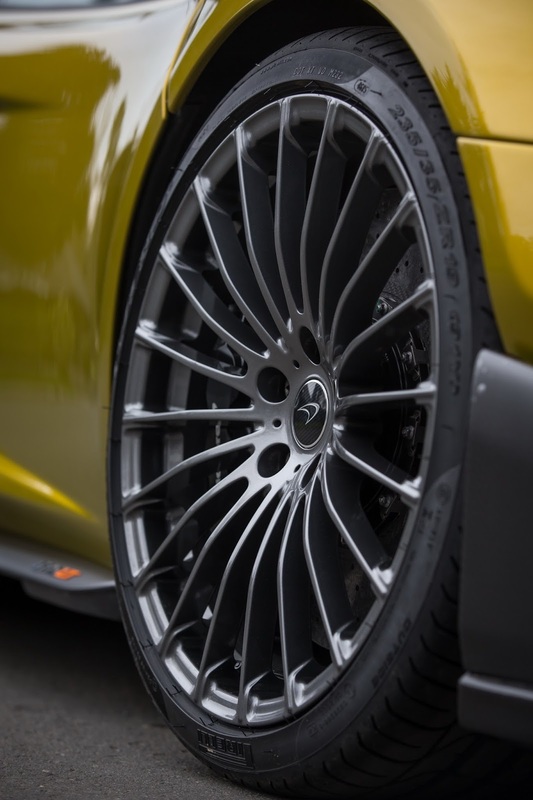 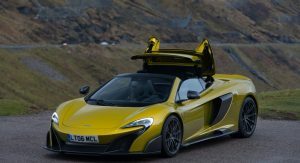 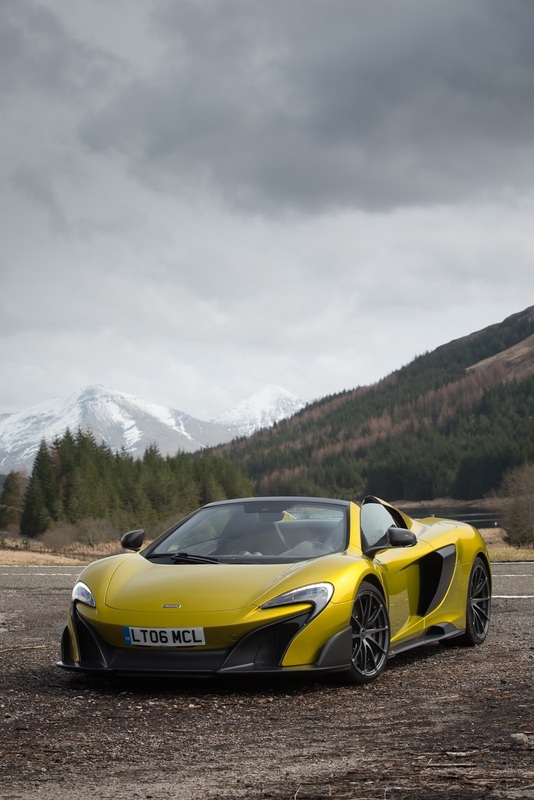 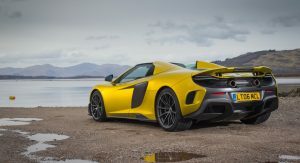 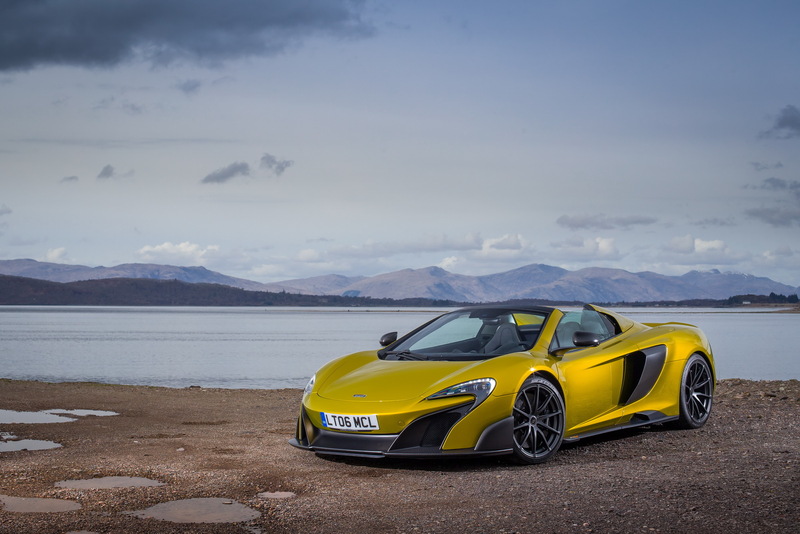 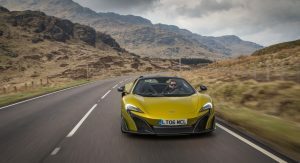 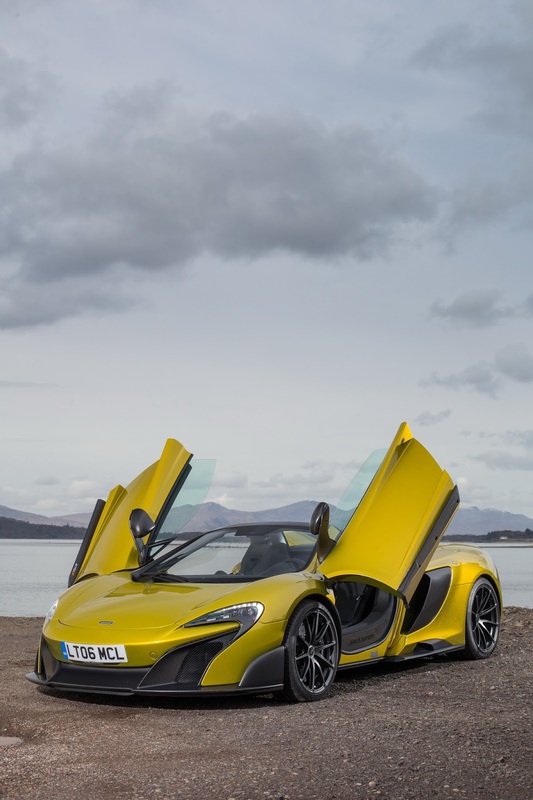 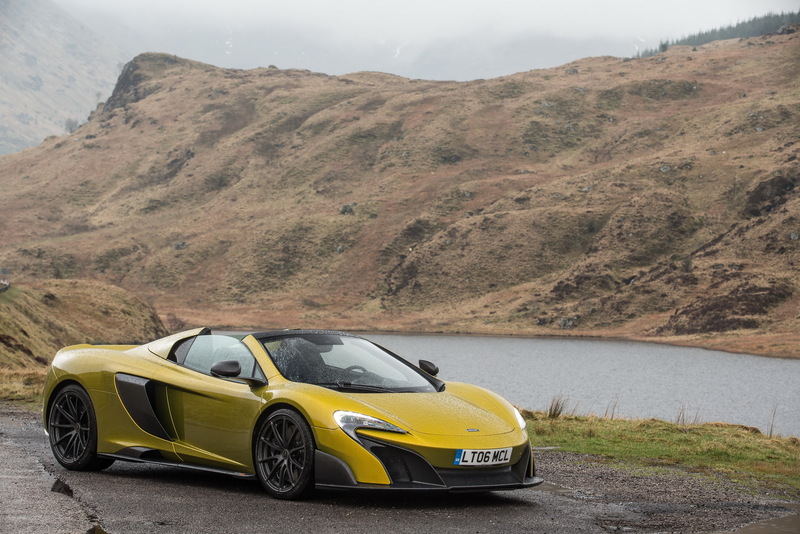 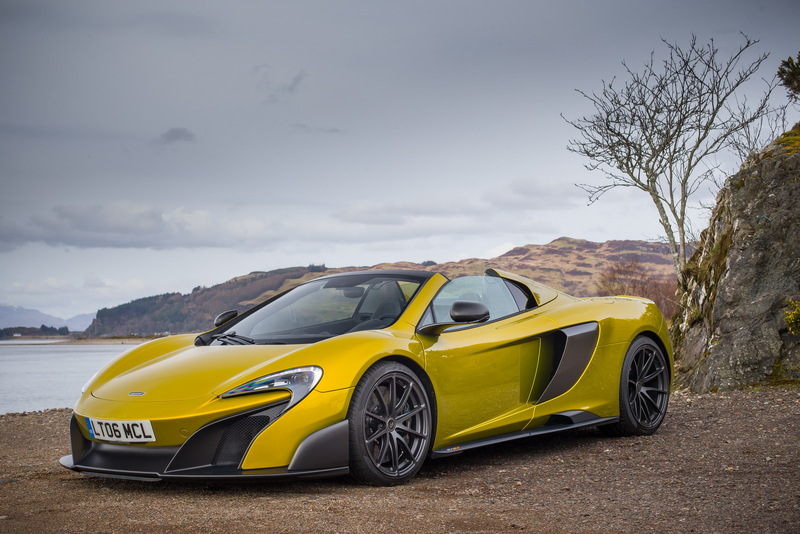 Besides going through a diet, the 675LT Spider has been aerodynamically optimized and benefits from track-focused dynamics and the 3.8-liter twin-turbo V8 updated to 675 PS (666 HP) at 71,00 rpm and 700 Nm (516 pound-feet) of torque at 5,000-6,500 rpm. 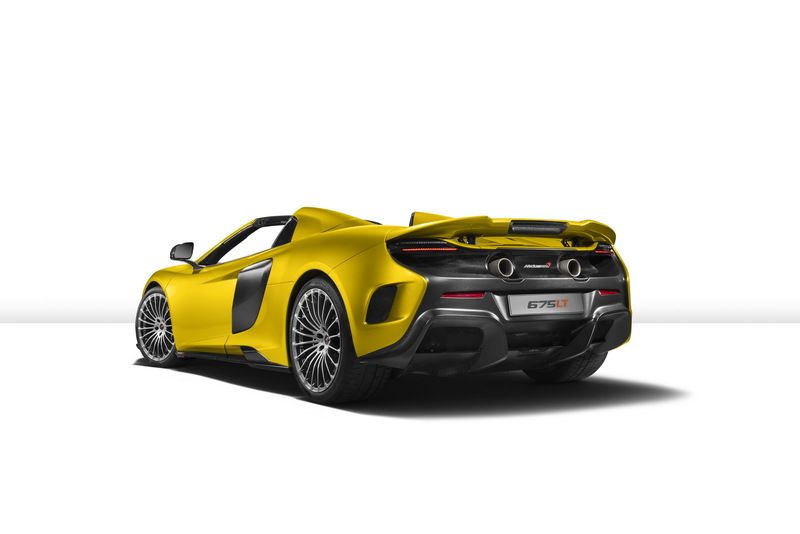 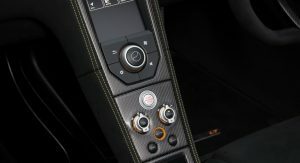 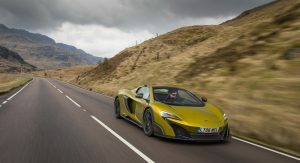 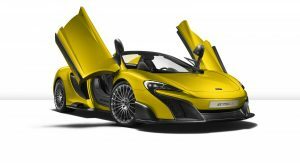 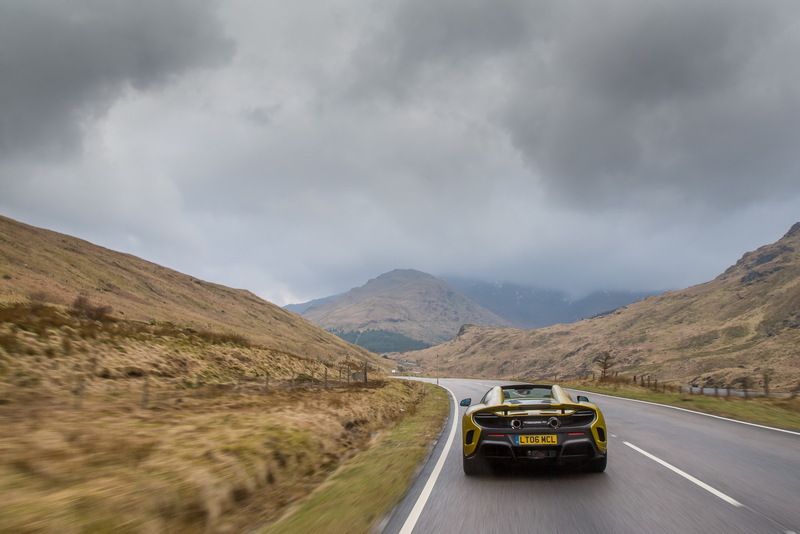 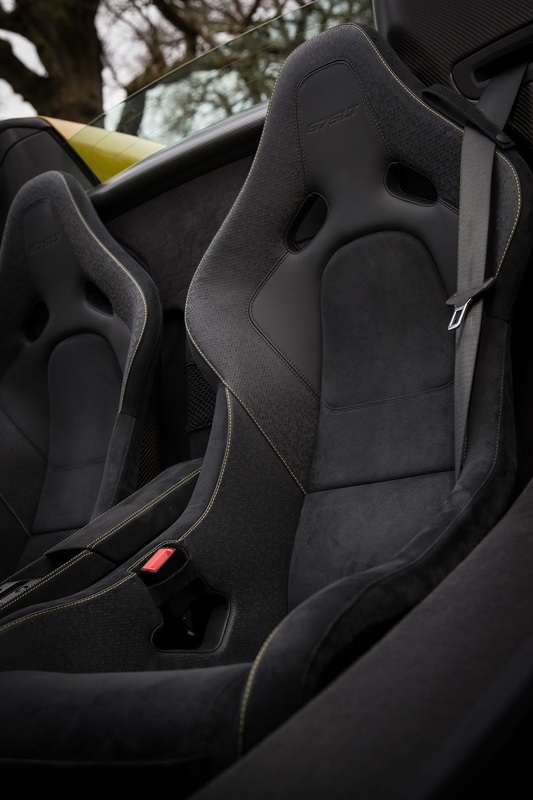 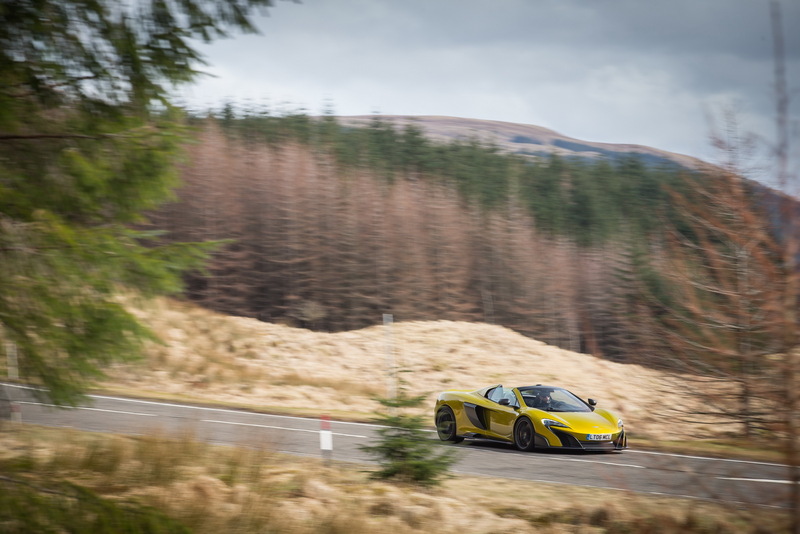 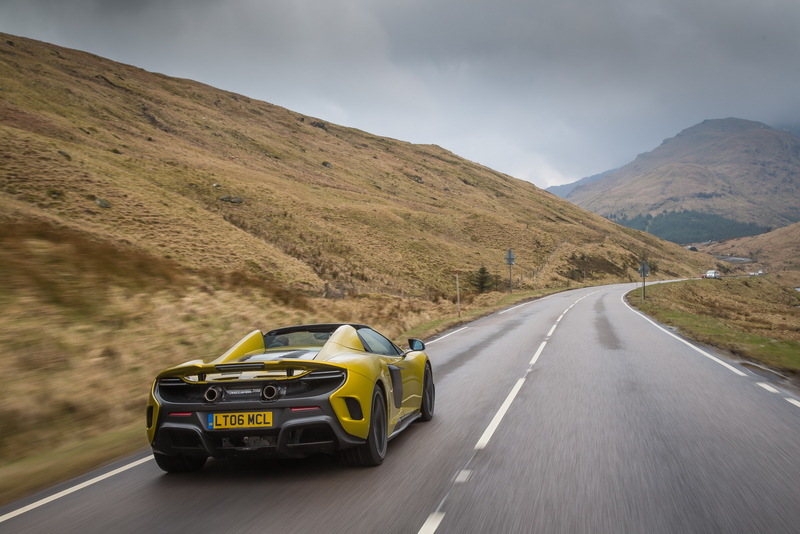 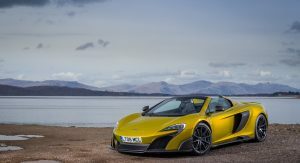 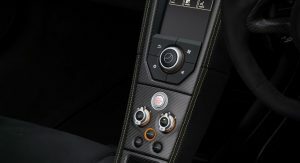 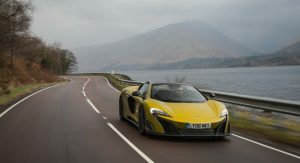 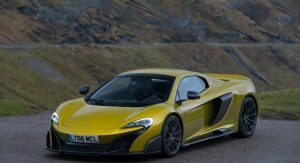 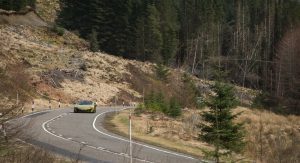 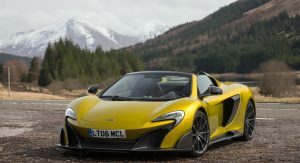 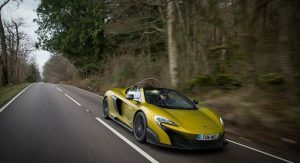 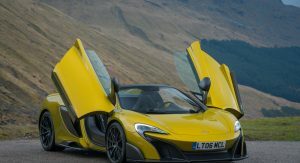 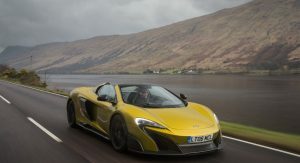 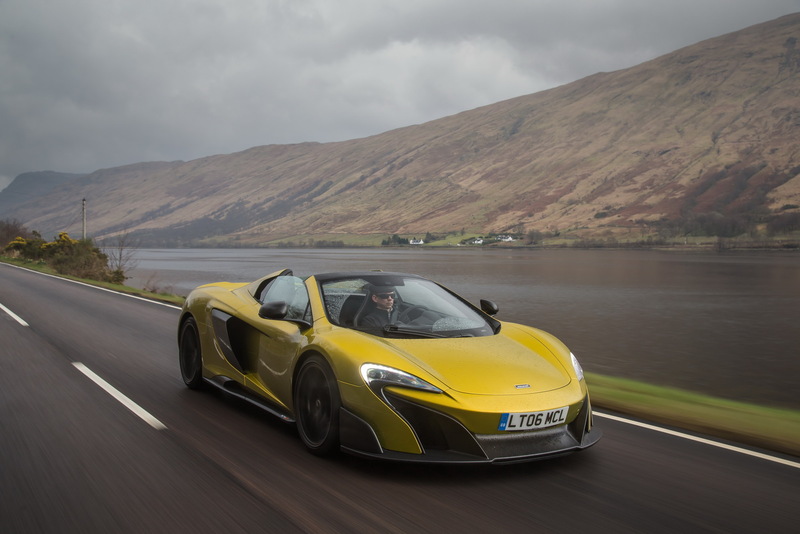 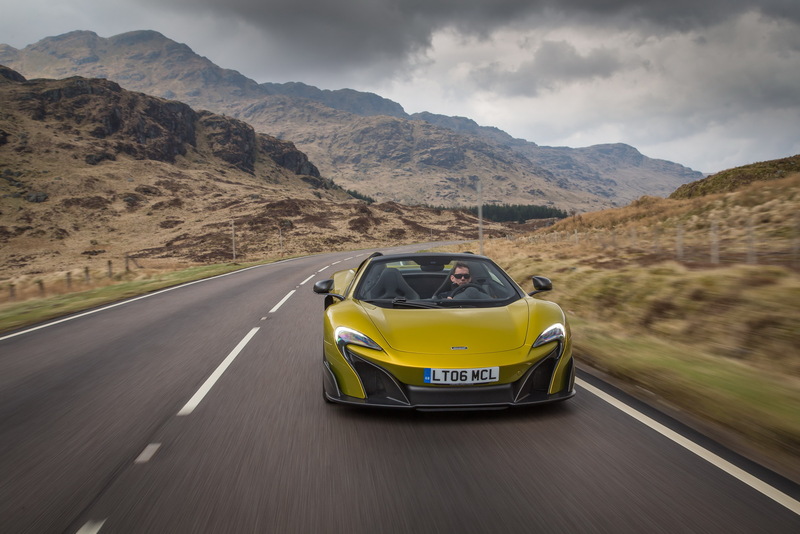 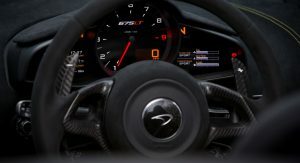 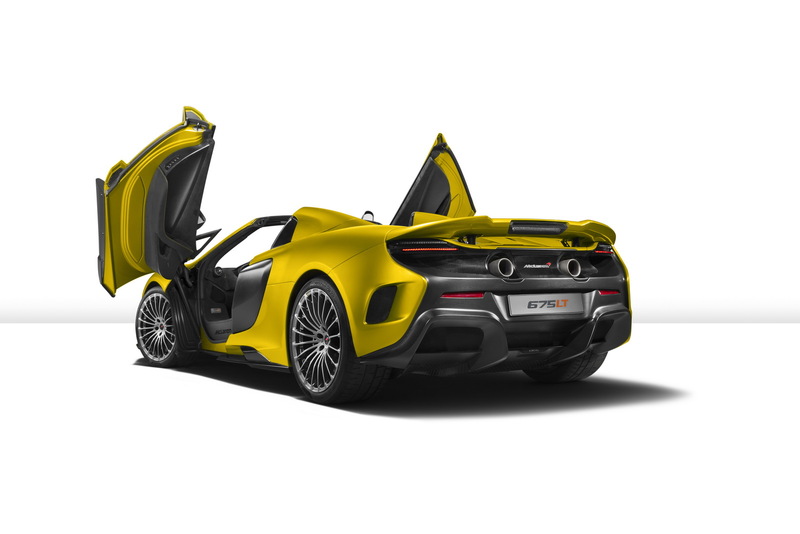 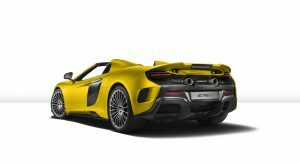 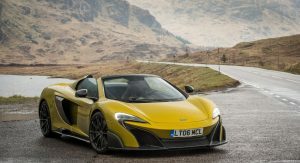 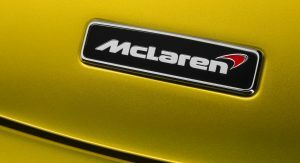 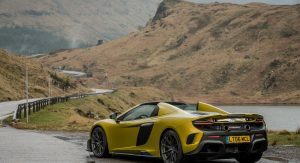 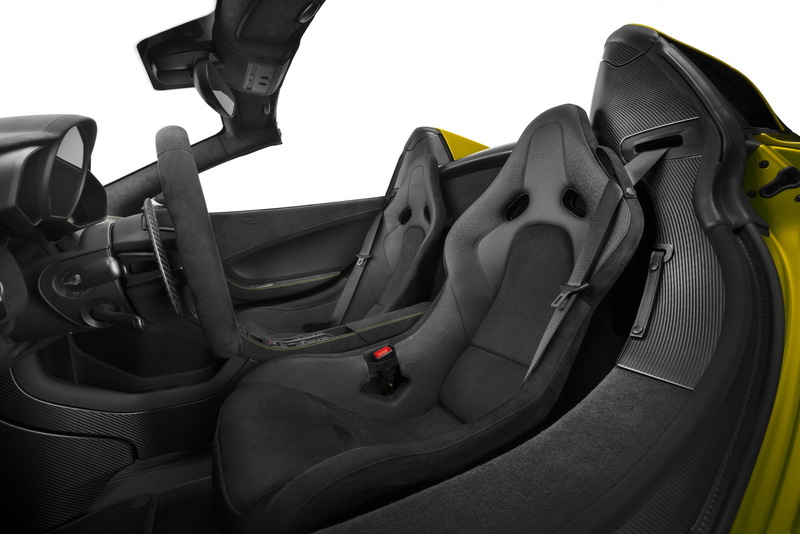 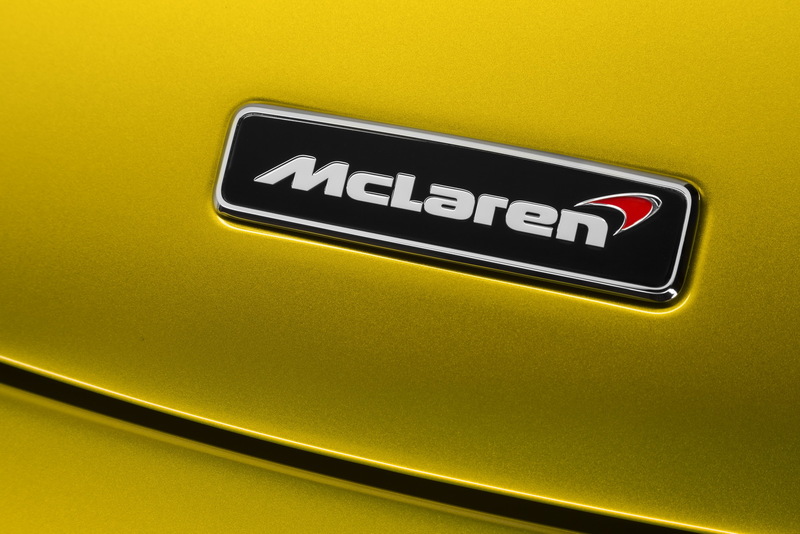 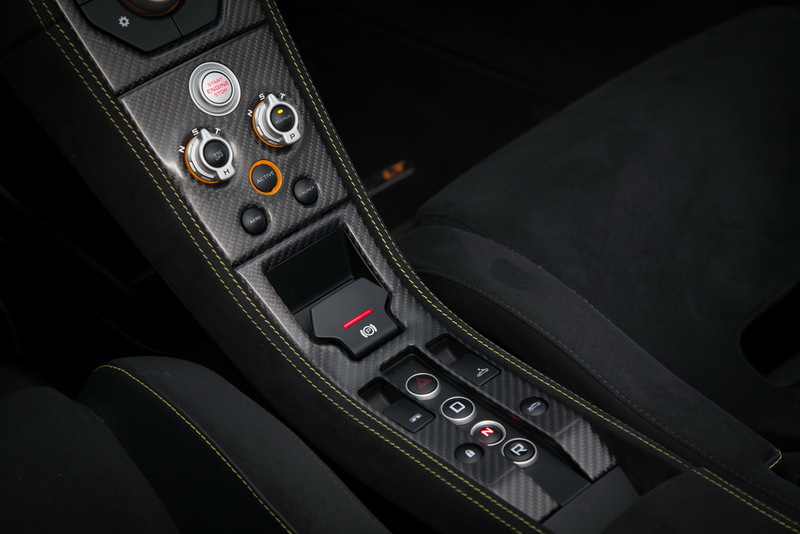 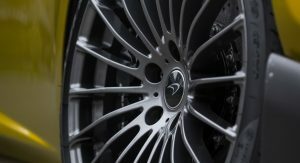 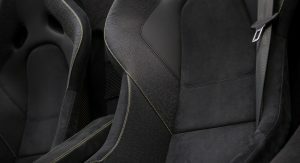 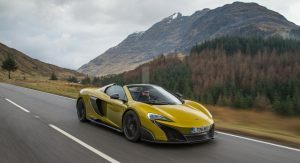 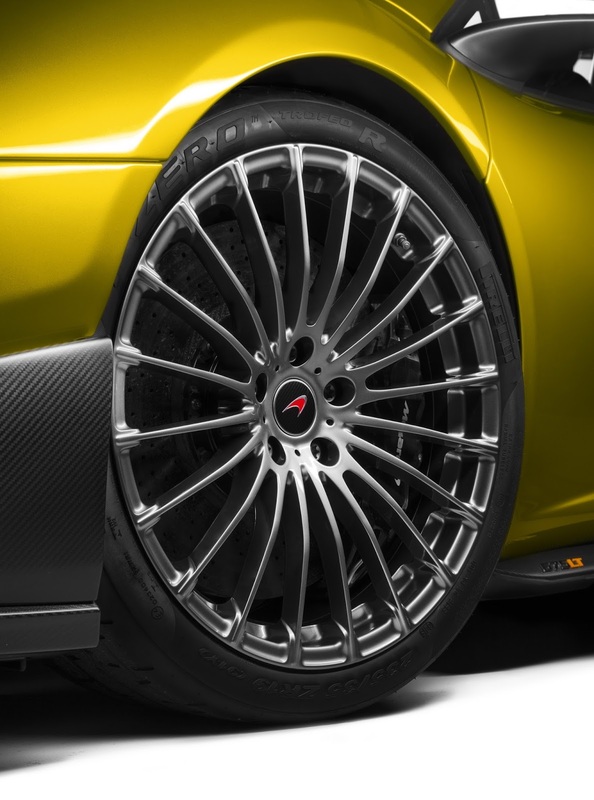 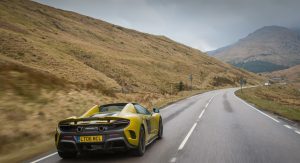 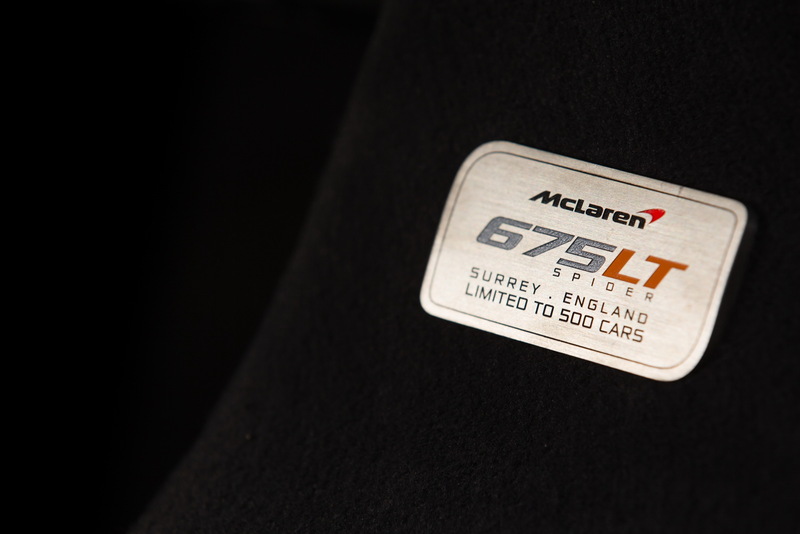 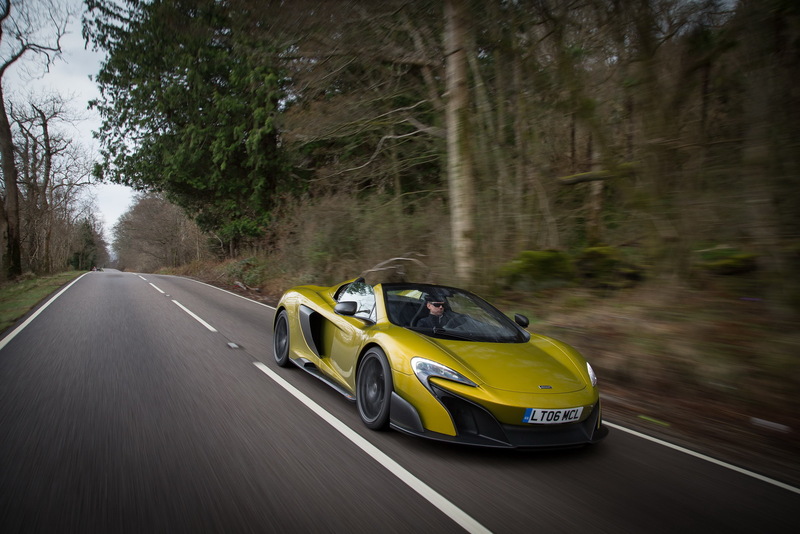 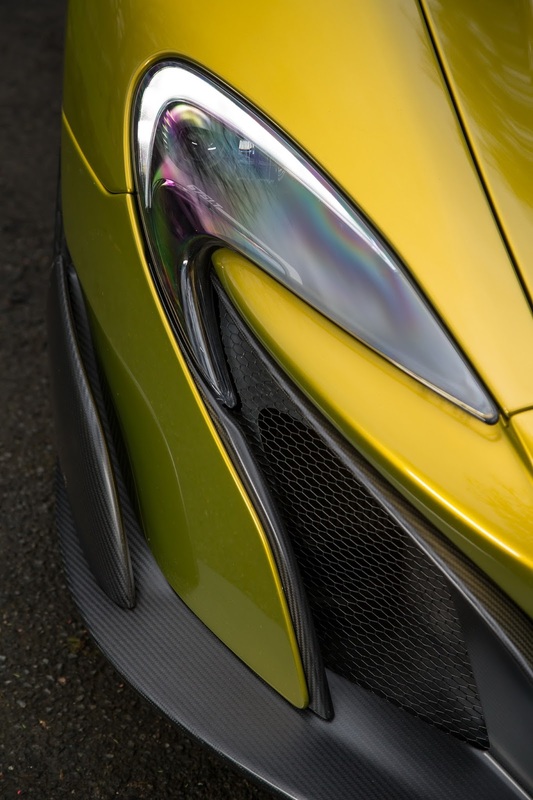 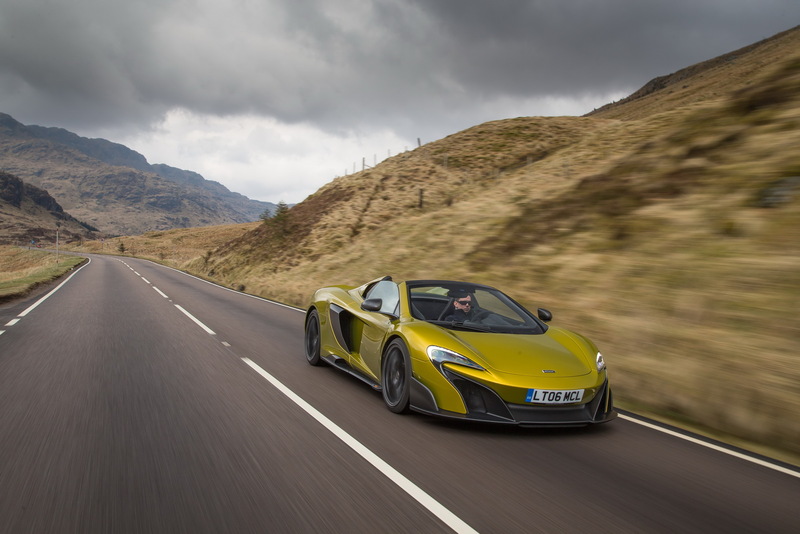 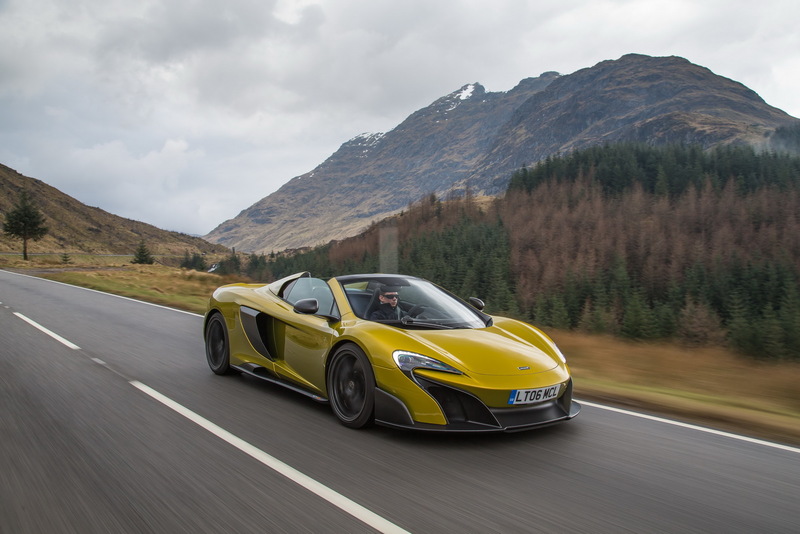 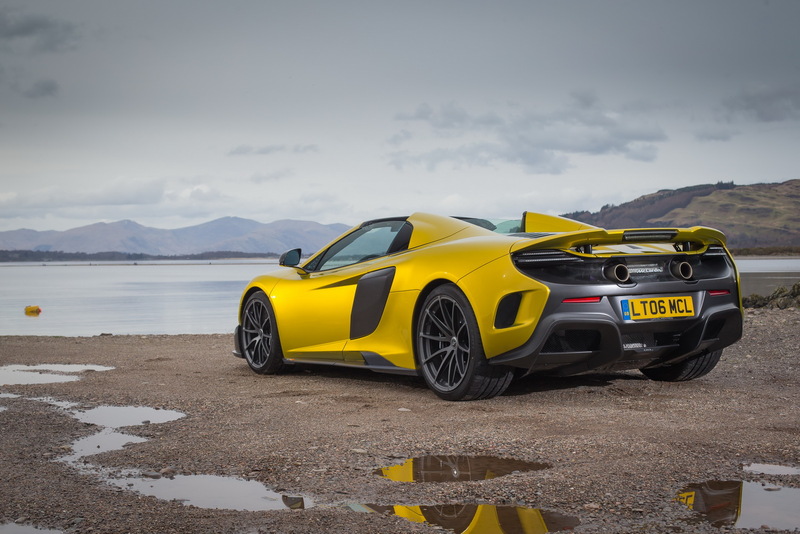 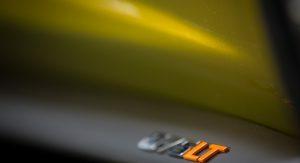 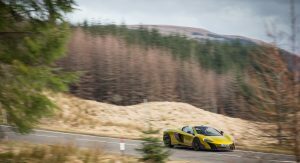 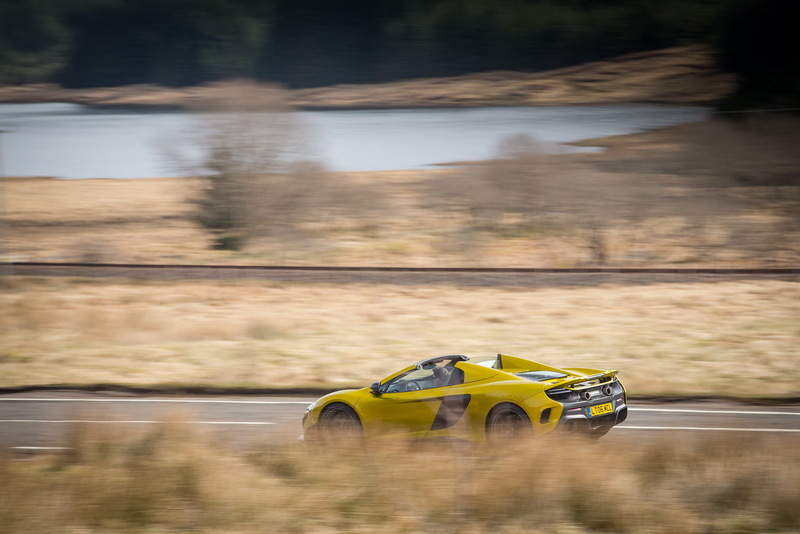 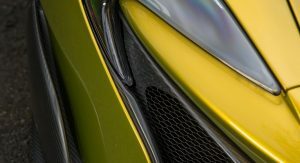 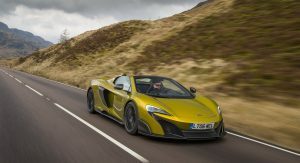 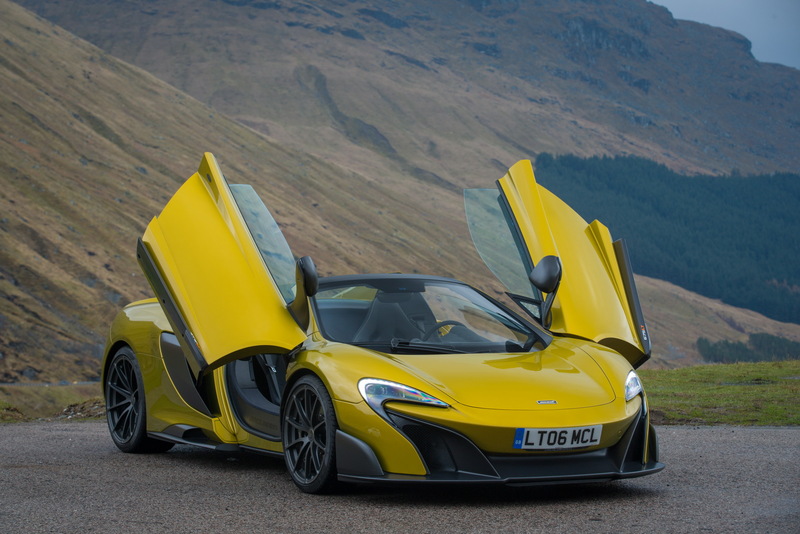 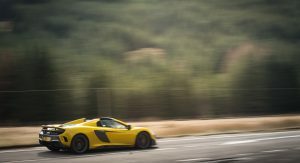 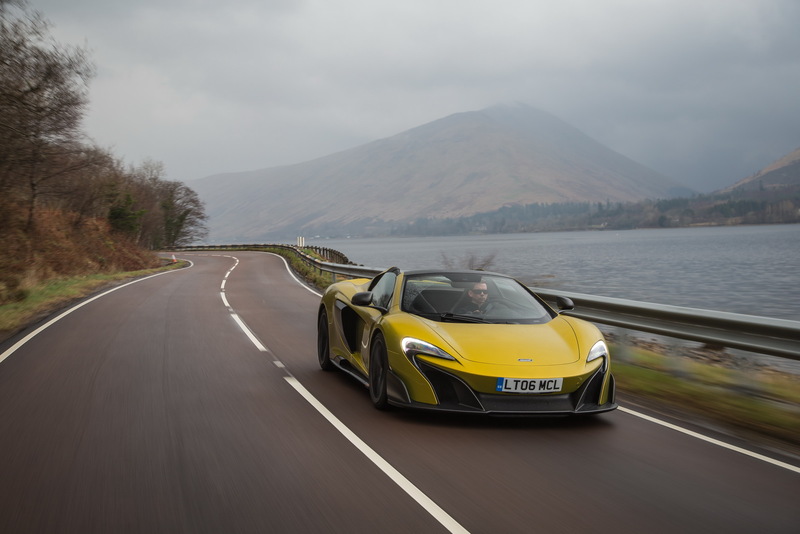 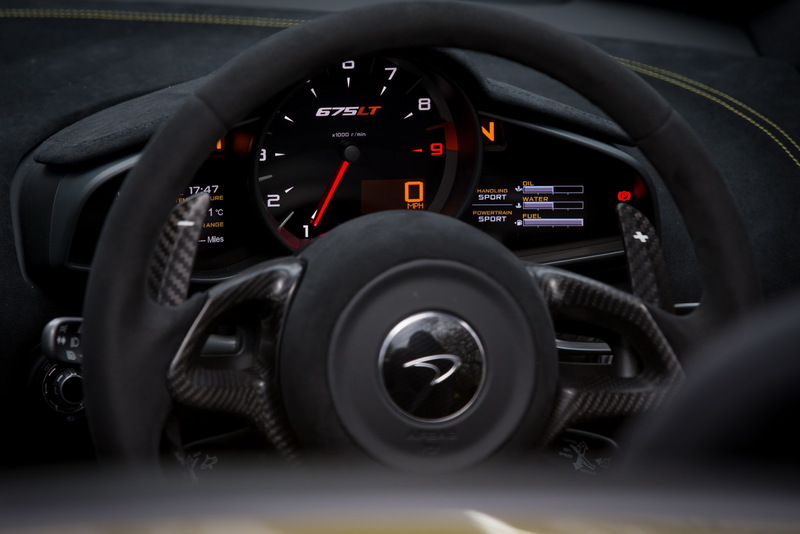 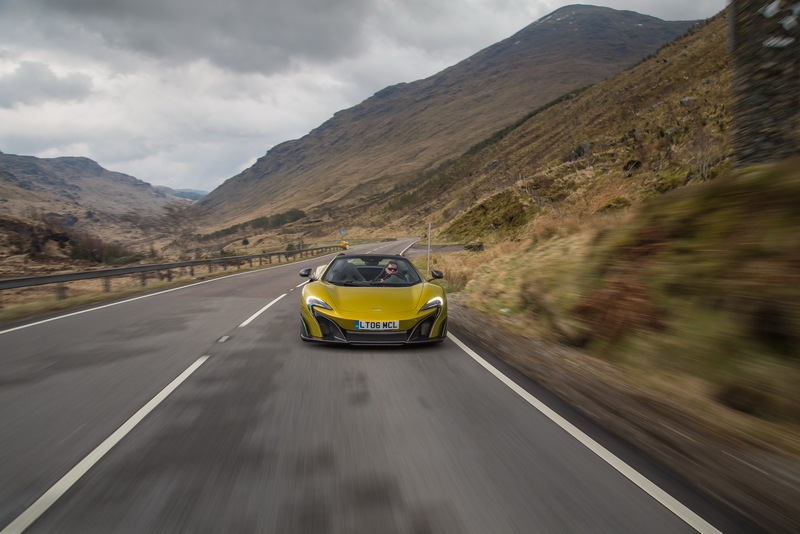 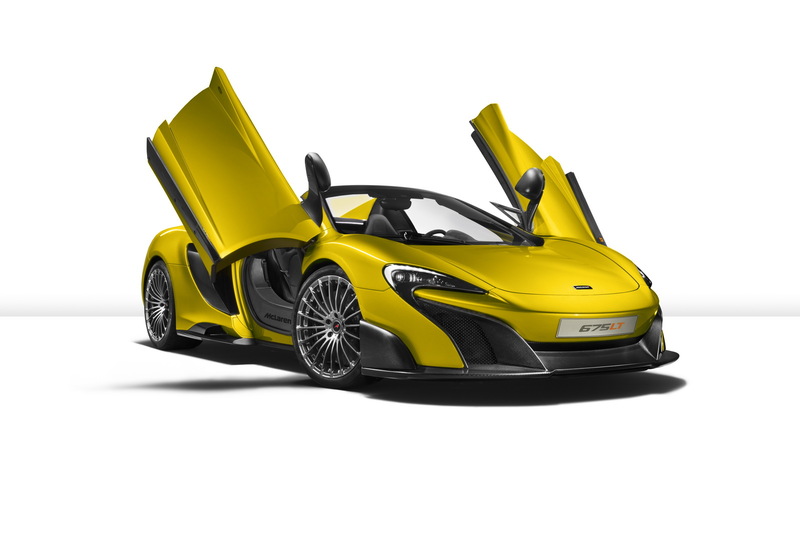 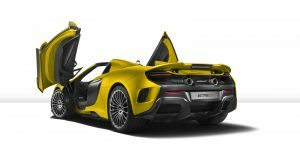 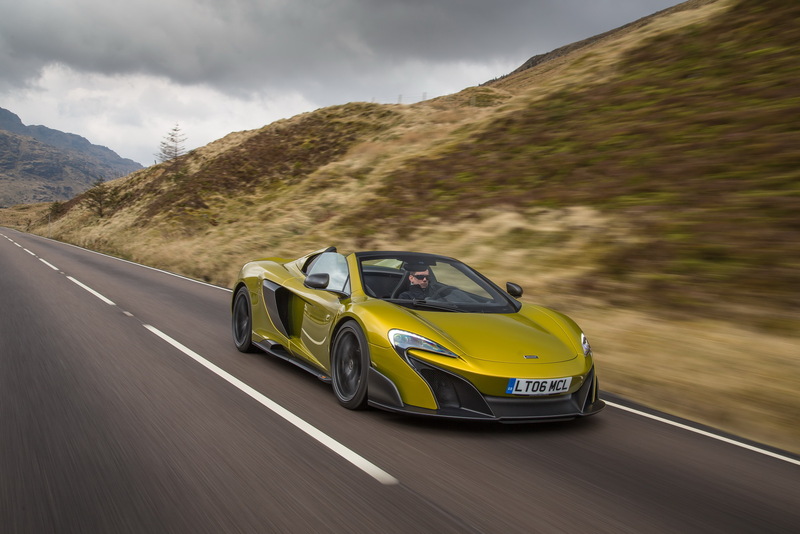 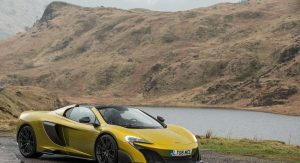 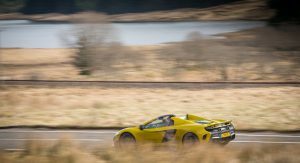 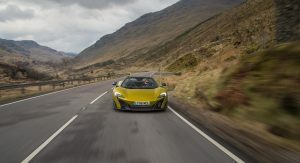 To ensure the optimized levels of power, torque and driveability, McLaren states that more than 50 percent of the engine’s components have been replaced, with changes including more efficient turbos, new camshafts, lightweight connecting rods and a faster-flowing fuel pump. 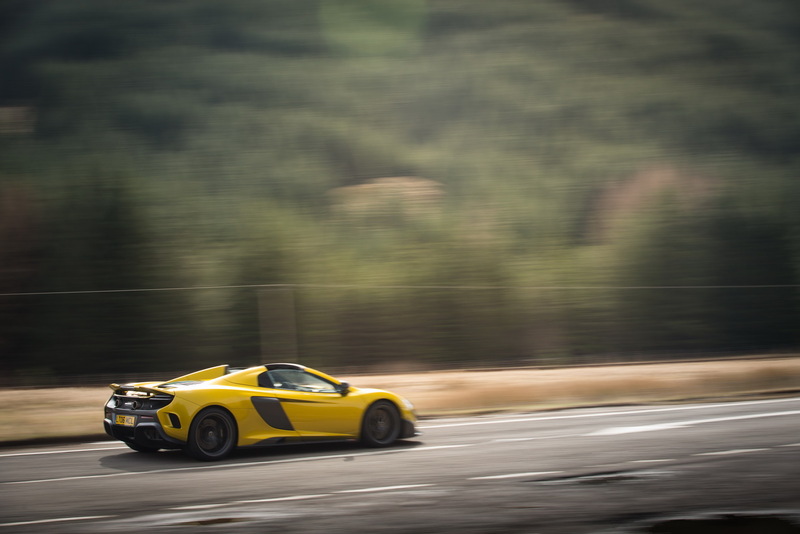 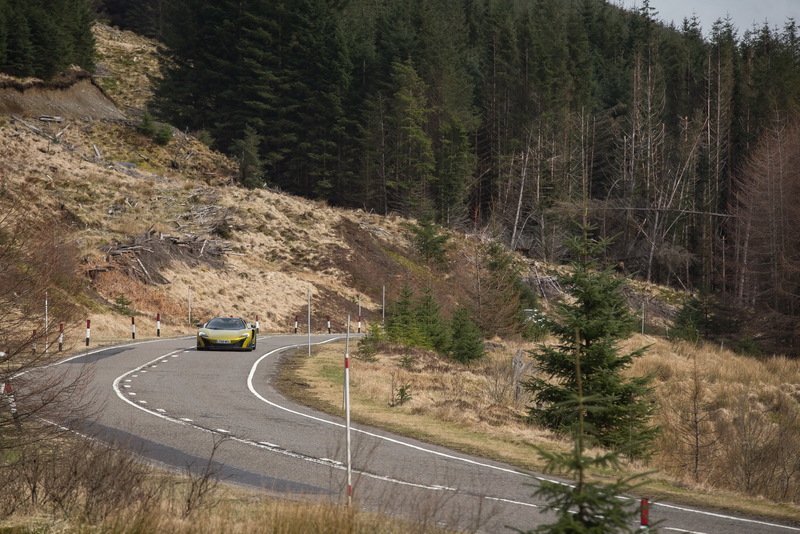 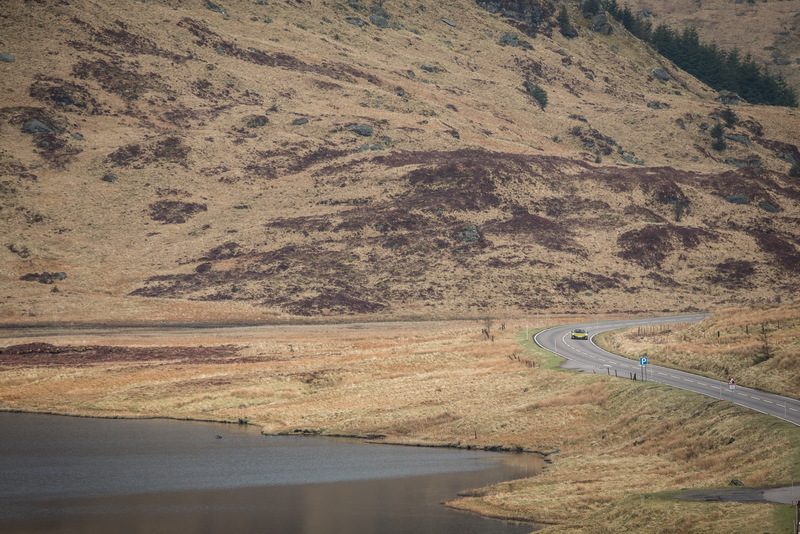 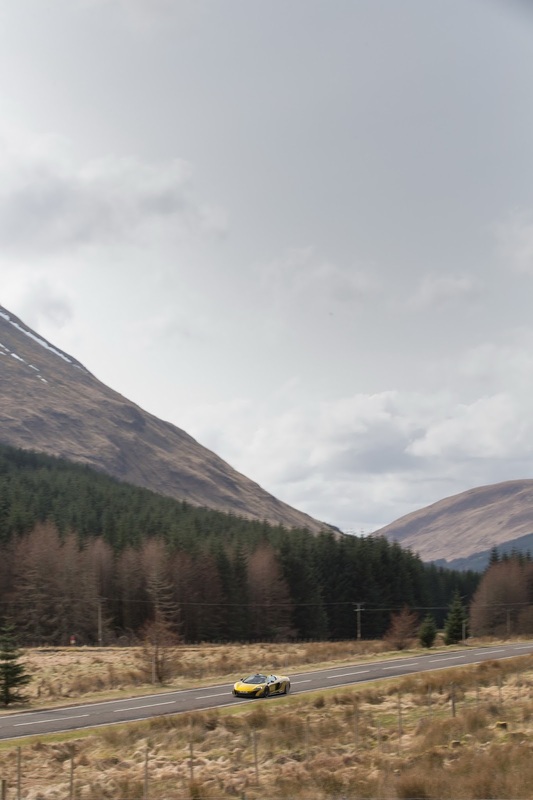 Reaching 100 km/h (62 mph) from a standstill takes 2.9 seconds and the top speed stands at 326 km/h (203 mph). 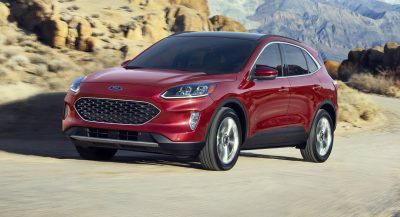 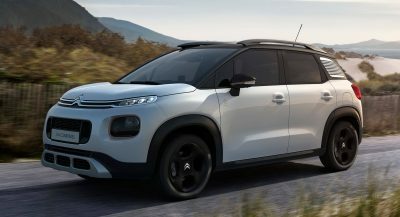 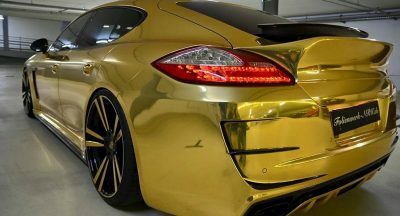 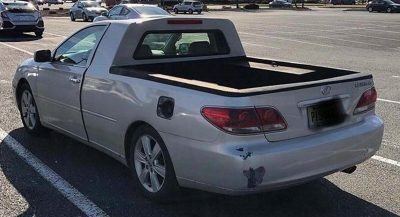 Next PostNext Which Car Would You Get As Your Ultimate Luxury Ride?